Brainfeeder Records has always been on the cutting edge of experimental, post-modern jazz. Flying Lotus’ Cosmogramma is a modern classic, Thundercat’s The Golden Age of Apocalypse has some of the best bass playing of this decade, and Kamasi Washington’s The Epic is a three-hour smorgasbord of juicy jazz fusion tracks that everyone should sink their teeth into. Because of these aforementioned albums and the great features that these musicians have on other artists’ work, it’s tough getting onto the label in the first place, let alone releasing an album that can stand alongside this star-studded collection of records. Yet somehow, Fool, the debut album of new Brainfeeder member Jameszoo, not only is the best jazz album since FlyLo’s 2015 You’re Dead!, but is also one of the best albums this year, period. “Flake” opens the album up in the best way possible, starting with some nice jazzy keys before transitioning into a vibrant, exotic medley of organic percussive rhythms and untamed shimmering synths leads that blend in ways one couldn’t even imagine. From a musical standpoint, this intro summarizes the wild, off-kilter compositions throughout Fool, as well as establishes the quirky, lovable tone that Jameszoo does an excellent job at maintaining for the next ten songs. “Lush”, the second track, builds upon this soundscape by layering in some lush ambient noises and a harmonious guitar melody into the mix. While these two songs are great, though, Fool, truly comes into its own on “Soup”, a tune that combines delicate electric guitar notes with primal percussive rhythms. As all of the instrumentation builds, Jameszoo layers in a few synths, making “Soup” feel more like a delicious musical gumbo than its name suggests. The next track, “Flu”, is arguably the best five minutes of the album, with more FlyLo-influenced synths, maniacal drum work, and, in the midst of all this, a short yet satisfying bit of violin and Bossa Nova guitar from Brazilian musician Arthur Verocai. While it only lasts momentarily, the playing it so dazzling and well placed within the instrumentation that it brings the song together, tying up any and all loose ends. In fact, one of the reasons Fool is near perfect is because of Jameszoo’s instrumental precision and attention to detail, as the songs “Wrong” and “Meat” demonstrate. 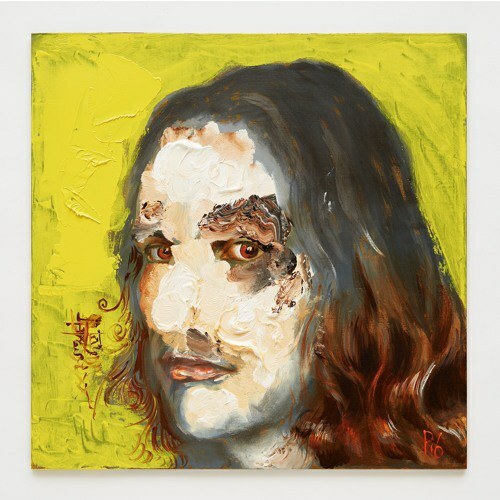 While the album retains a sense of entropy and compositional disintegration, Jameszoo provides enough musical cues and textured soundscapes to successfully guide the listener through the whirlwind of jazz. “Wrong”, while it is one of the more eerie and ethereal cuts off of the album, still has a sense of progression, and it’s largely due to the in-the-pocket clanking and squeaking effects that rise and fall with the ever-changing drum pattern. The same can be said for “Meat”, a song whose bulk consists of swelling organ and maniacal saxophone; in its few quieter moments, serene chimes come in to fill the empty space and provide a heavenly contrast to the devilish horn and organ playing that carries the song forward. Whereas the first half of this album feels frantic and jittery, the second takes a slightly more relaxed tone, though Fool’s vibrancy remains as colorful as ever. “The Zoo” stands out in the track list not just for having some wonderful, weaving violin, but for also having vocals by John Coltrane Quarter member Steve Kuhn as well. While his singing on this song tends to follow the rhythm of the music, his lyrics are alluring, combining the post-modernism of Allen Ginsberg and the poetic ambiguity of Bob Dylan. “Crumble”, on the other hand, focuses more on song structure, transitioning beautifully from an otherworldly jazzy synth atmosphere to a frenzied landscape of pummeling drums and rolling bass lines. The following track, “Nail (Skit)”, is the much-needed calm after the storm, while “Toots” fuses the haunting atmosphere of a John Carpenter soundtrack with Jameszoo’s jazz sensibilities and fantastic instrumental layering. The album even finishes as well as it starts with the song “Teeth”, a track that winds down the musical rollercoaster that defines this album. The only fault to be found with Fool is in its last few seconds, where Jameszoo bursts out in a brilliant saxophone and drum medley that ends as abruptly as it began. It is a display of the disjointedness and spur-of-the-moment playing that runs rampant throughout the album, but he could have extended the performance until the end of the measure. Otherwise, Fool is a near-perfect album, melding Jameszoo’s sonic eccentricities and experimentation with great performances, stellar musicians, and off-the-beaten-path instrumentation. Even though there are eight months left in 2016, it’s impossible to imagine any album having nearly as much personality, experimentation, or superb songs as Fool does, and will certainly be one of the best albums to come down the pipeline this year.